“Game shows are as timeless as sports,” Guy Branum, host of Talk Show The Game Show, which returned last week to truTV with all new episodes, told Found Remote. And yet, with so much innovation taking place across the TV landscape, game shows and late night shows have become stale. First there’s a monologue followed by a sketch or two; then a couple of celebrities join the show, resulting in a lot of shameless plugs and forced laughter. Familiar talk show themes are re-introduced in new ways, resulting in genuine banter between guests. 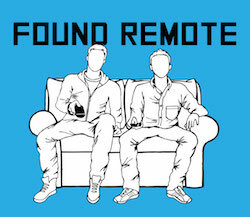 Found Remote: What different kinds of things are you going to try for these new episodes? 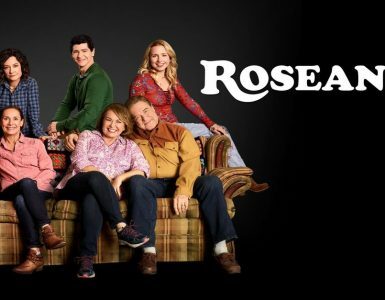 Guy Branum: The first 16 episodes were really just about figuring out how the live show would adapt to TV. In the new episodes we had a lot more confidence in how the show worked as a TV show, and we really tried to let the guests push the boundaries. The wonderful and terrible thing about a show like ours is that we’re pretty much just creating a place for our guests to show off and have a good time, and in these episodes, they really went for it. FR: There’s certainly a few “late night” alternatives out there – and you worked on Chelsea Lately, one of the pioneers of that trend. Who are you trying to appeal to most with Talk Show The Game Show? Branum: Talk Show The Game Show is for people who love shows like Match Game or classic Letterman where there was an element of chaos to talk shows and game shows. I also really loved the collegial, collaborative panel fun of Chelsea Lately, and the best Talk Show The Game Show moments are when the panel just starts talking to each other and I become irrelevant. I want people to feel like they’re at a party, not a choreographed stage show. FR: You’ve noted that publicists have essentially ruined traditional late night, but that is because of how quickly slip-ups can go viral. With that in mind, how are you able to convince guests, and their publicists and agents, to appear on the show? Branum: This isn’t a show for celebs who want to be insulated and protected. We love and respect our guests, but want them to feel human. Sometimes network late night can feel so polished that it’s lifeless. Talk Show The Game Show is a great place for celebrities to be dynamic, entertaining and human. The celebs on talk show the game show are the American Ninja Warriors of banter, they’re not scared to fall on their face to prove they have what it takes. FR: With how much TV has changed over the years, will there always be an audience for the game show format? FR: Which guest from this season surprised you the most? Branum: Last year, the athletes were the real surprises, this year, it was Real Housewives. We have two housewives on the show (Heather Dubrow and Cynthia Bailey) and they were astoundingly funny, charming and game for anything. They’re keenly intelligent self-promotion machines, and both of them made appearing on the show seem more glamorous than I could have imagined.